Bolanle acts as the Executive Assistant to the Principal Partner. 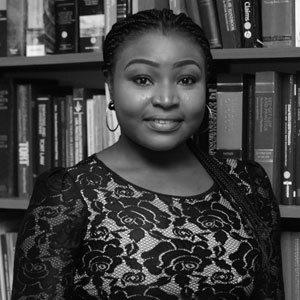 She brings to Charles Anthony LLP, her years of experience in human relations and general administration from her previous employment at a Human Resources firm in Lagos. She is skilled in the implementation of best practice policies and procedures. Bola is amiable and exhibits a high level of enthusiasm and commitment to any task that she is in involved in. She ensures the highest standards at all times. Public Administration, Ahmadu Bello University, Zaria, 2012.